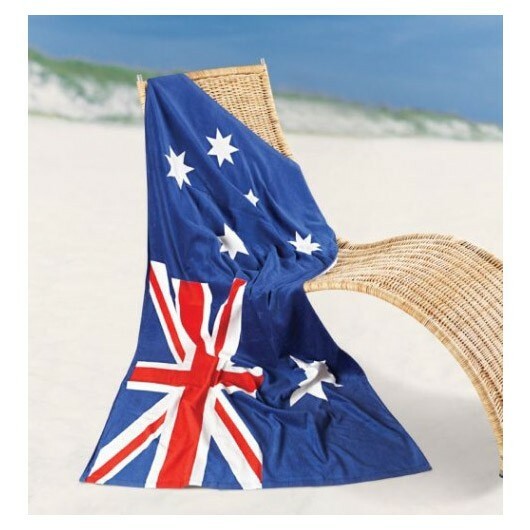 With a printed Aussie flag design these towels are a standout choice. Aussie, Aussie, Aussie! 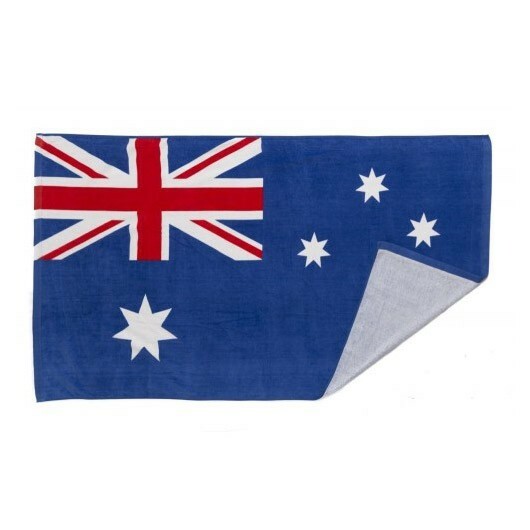 These towels feature an Australian flag design made from 100% cotton velour with a weight of 350 gm2. They feature an embroidery of your logo and measure in at 75cm x 150cm - a great option to associate your company with everything Australia. Great as a gift item, merchandise, events and more.